Rock The Body Electric: NPR pure Booshness...White Stripes! 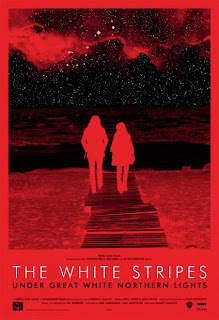 Anyway, they are hooking the brothers and sisters up with a first listen to the White Stripes new concert album, Under Great White Northern Lights. Click here to Stream it!!! I can not wait to grab this DVD/CD combo...and from the opening Bagpipes, I doubt it will be disappointing. Friends have talked about doing a viewing party for this Thursday downtown so if that goes down I will have a review soon, if not in the next few weeks one will probably pop up. Currently The Stripes sit 3rd on my list of favorite Jack White projects, but my man crush on him is large enough to cover 5+ projects...so keep them coming Jack old boy.